When you consider San Francisco is built atop sand dunes and rocks that create perpendicular inclines (and buildings are made to move with the Earth), everything -- including your overpriced apartment -- is an architectural wonder in this inconvenient, unlikely town. But these seven man-made standouts are the REAL treasures. 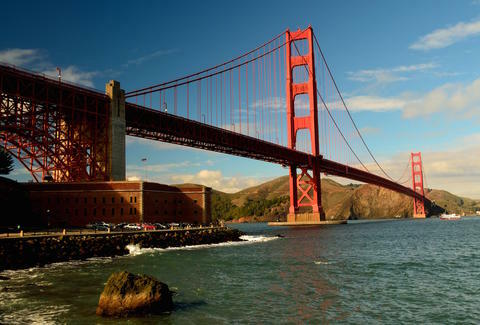 From the iconic to the unknown, these are the seven wonders of SF. Not just an SF landmark, this breathtaking icon is considered one of the top 10 construction achievements of the 20th century (as well as an international symbol of California and the US in general). The feat of engineering started in 1933 and was helmed by Joseph Strauss, a young engineer/poet whose blind ambition led him to downplay and undercompensate the huge contributions made by his fellow architects, Irving Morrow and Charles Alton Ellis. Still, his tunnel-vision drive likely contributed to the construction taking just four years and coming in $1.7 million below budget. At just $35 million, the biggest cost of building the bridge was the loss of the 11 steelworkers who fell to their deaths during construction. 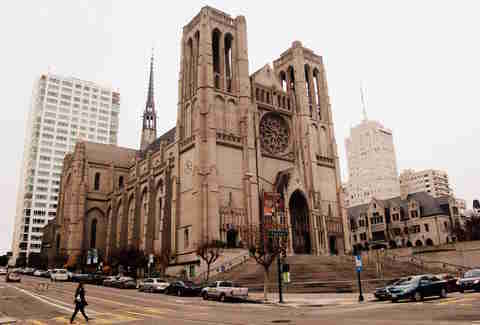 Grace Cathedral was designed by Lewis Hobart in the French Gothic style, and its construction began in 1927 after preceding structures were destroyed in the fire following the 1906 earthquake. The 7,290sqft of stained glass, two labyrinths, three organs (including one with an astonishing 7,466 pipes), a 44 bell carillon, and a grand mural depicting San Francisco’s history took until 1964 to finish. But despite its relative newness, the main entrance is an exact replica of the famous doors by Florentine Renaissance master Lorenzo Ghiberti. The ornate walls have hosted numerous visionaries, including Martin Luther King Jr., and are home to the city’s celebrated interfaith AIDS chapel. The concept for this under-the-radar gem was developed by Peter Richards and installed by sculptor and master stone mason George Gonzales as part of the Exploratorium’s artist-in-residence program in 1986. The acoustic structure is made up of 25 organ pipes and concrete ledges that interact with the waves and tides (it’s the loudest and coolest at high tide) to produce subtle tones and hisses, controlled entirely by the bay’s tides. There’s also a killer view from the jetty in the bay it’s located on, making it a perfect free date idea to boot. 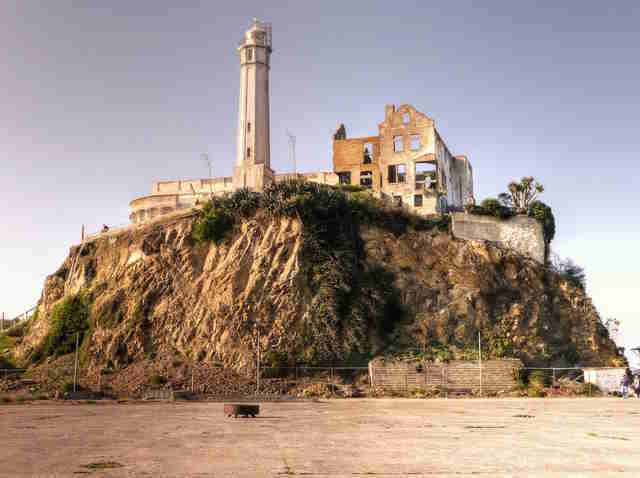 Before it was a tourist destination attracting boatloads of visitors to the cold, rocky island, Alcatraz was an icon of US military power thanks to four massive 36,000lb Rodman guns. It was originally constructed as a fortress that hosted the Pacific Coast’s first operating lighthouse, and the US Army used its strategic positioning in the bay to protect its interests during the Gold Rush. 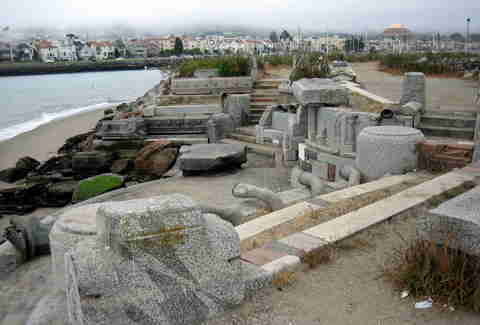 It wasn’t until 1907 that it was designated as the Western US Military Prison, and when organized crime swept the nation, Robert Burge was commissioned to help design an escape-proof prison that would not only lock up America’s most dangerous criminals, but also serve as a foreboding warning to the gangsters wreaking havoc on nearby shores. Chilling architectural highlights include teargas canisters permanently installed in the ceiling of the dining hall that could be remotely activated by guards. Like Alcatraz, cable cars once served an actual function, ushering SF residents around town through an innovative series of underground grips and pulls before becoming miniature roller coasters for tourists -- and the world’s last hand-operated public transit. At one point in the late 1800s, the city boasted 23 lines, which served as a template for public transportation systems throughout the country, but today only three lines are left and are more “moving museums” than actual modes of transportation. Still, the lucky few use their monthly Muni pass to side-step the $6 ride fee in order to take these vintage beauties to work Downtown or in Union Square. 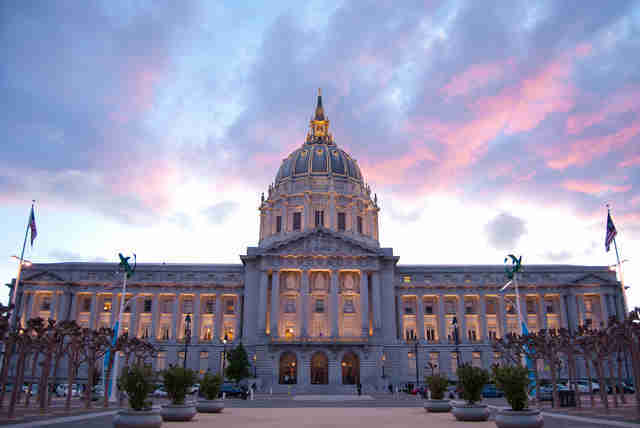 The current massive structure, which spans two city blocks, is actually a smaller replacement of the hall that was completed in 1899 (only to be destroyed in the 1906 earthquake). Arthur Brown Jr. designed the ornate building, putting his obsessive attention to detail on everything, including the doorknobs and typefaces for the offices. Perhaps an indication of our small city’s Napoleon complex, the imposing dome is the fifth largest in the world and is taller than the US Capitol by 42ft. 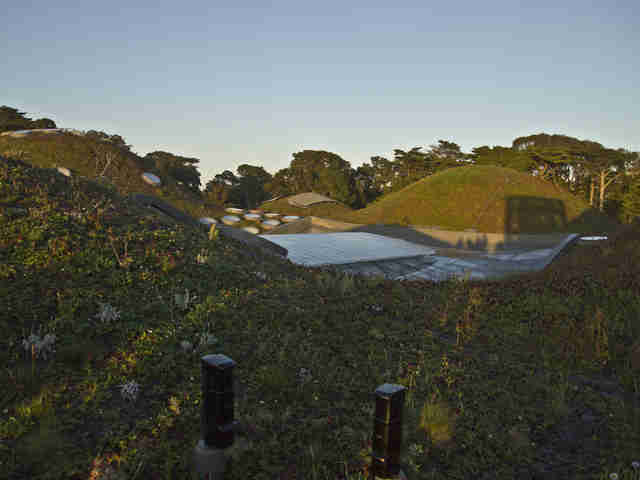 You’ve heard of rooftop gardens, but the Living Roof atop the California Academy of Sciences is pretty much the ultimate example of man’s ability to harness nature in the name of sustainability. It features seven hills and is home to approximately 1.7 million plants that help regulate temperatures and light in the building below, catch excess rainwater, and serve as an oasis for birds and insects -- all while acting as a testing ground for the Academy’s many experiments and educational programs. 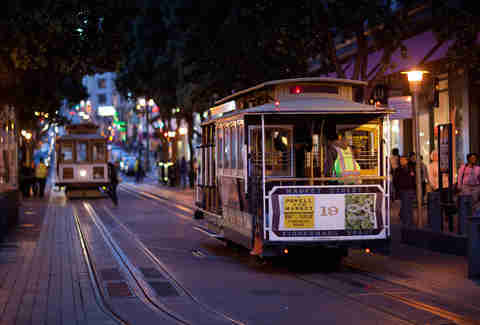 Amy Copperman is a regular contributor to Thrillist who’s more convinced than ever that SF is the coolest. Find her on the living roof or Twitter -- but mostly the living roof.